In recent years, special attention has been paid to the tourism development on the Caspian coast. Many states adjacent to the Caspian basin are taking measures to create a favorable image of the sea as a tourism zone. Russia and Azerbaijan are increasing joint efforts to develop maritime tourism in the Caspian Sea, Russian Ambassador to Azerbaijan Mikhail Bocharnikov told Trend. As the ambassador noted, the parties intend to establish cruise trips between the Caspian littoral states and for this purpose two vessels are being built in Russia’s Astrakhan region. 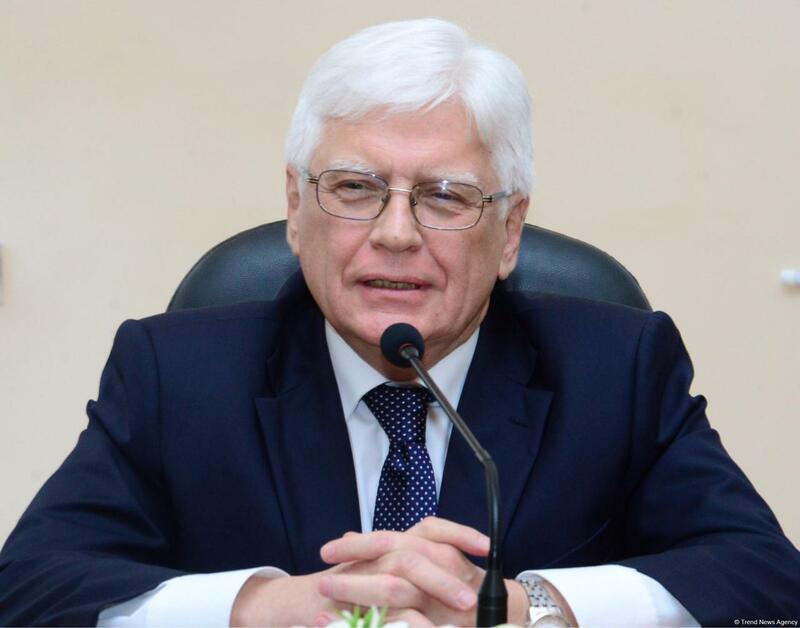 "It is necessary to provide all the Caspian littoral states with the appropriate infrastructure, so that in the future maritime tourism becomes one of the important areas," he noted. "Our countries are actively increasing cooperation in many areas of economy and trade, in humanitarian cooperation, and are also reliable strategic partners in the region. I believe the friendly ties between the states will strengthen and deepen in the coming years." At the Fifth Caspian Summit, held on August 12, 2018, in Aktau, Russian President Vladimir Putin said that "Peter The Great" cruise ship is being built in Russia, which will be able to perform all-round cruises across the Caspian Sea to all the five Caspian states. It is planned to carry out two types of cruises on the liner - short (7-8 days) and long (13-14 days). Short cruises will cover calls to several ports in the northern and southern part of the Caspian Sea, while long cruises will include calls to the ports of all five Caspian countries. Approximate commissioning of the liner is scheduled for 2020. Most of the Caspian cruises are planned to begin and end in Baku. In the future, "Peter the Great" will also take cruises connecting the Caspian, Azov and Black seas. In the future, "the Great Peter" will also perform cruise trips in the three seas - the Caspian, Azov and Black. Russians made up the majority of the tourists who visited Azerbaijan in January-October 2018, according to the State Statistics Committee of Azerbaijan. Tourism as one of the main areas of the non-oil sector of the Azerbaijani economy remains in the focus of attention of the Azerbaijani government. Here the transport infrastructure is developing, the work of public utilities is adjusted, modern hotels are built. The geographical position of Azerbaijan assumes the organization of the most different types of tourism. As many experts consider, coastal recreation in the Caspian is best developed in Azerbaijan. There are opportunities for the development of combined cruise tourism through a combination of sea and river cruises - cruise ships from the Mediterranean and Black Seas could pass through the canal system to the Caspian Sea, visit the Caspian countries during the navigation season. This would provide a cognitive trip covering several countries, especially since the natural environment of the Caspian coast with sandy beaches, mineral waters and therapeutic mud in the coastal zone creates opportunities not only for recreation but also for treatment.